What WebMerge Triggers and Actions are Supported? New Merged Document - Triggers when a merged/populated document is created. Create Data Route Merge - Send data to your Data Route URL. Extract Field Values From PDF - Extracts the field values from the given PDF file. Combine Files - Combine multiple files into a single PDF or DOCX. Create Document Merge - Send data to your Merge URL. Convert File to PDF - Converts a given file to a PDF. 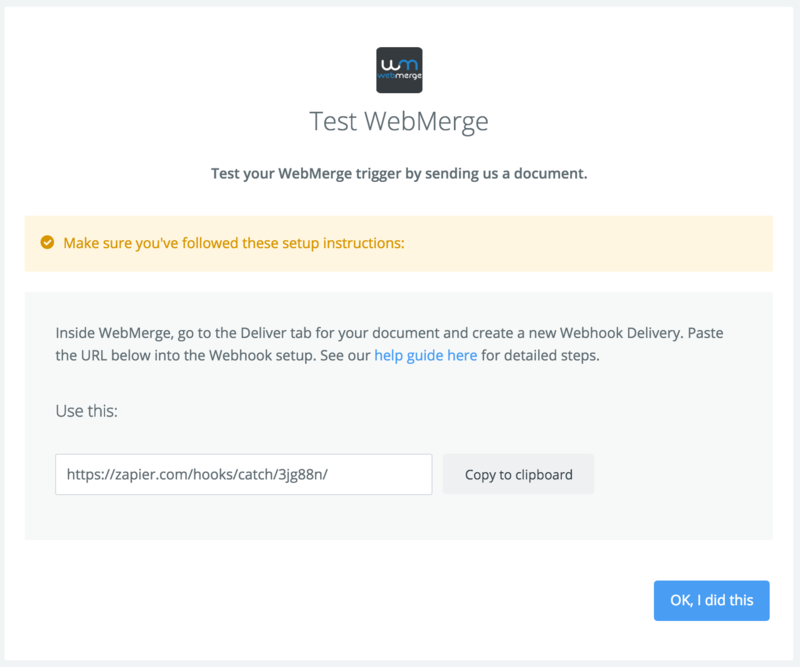 The first thing you'll need to do to get started with hooking up WebMerge with Zapier and hundreds of other services is to add your WebMerge Account to Zapier. 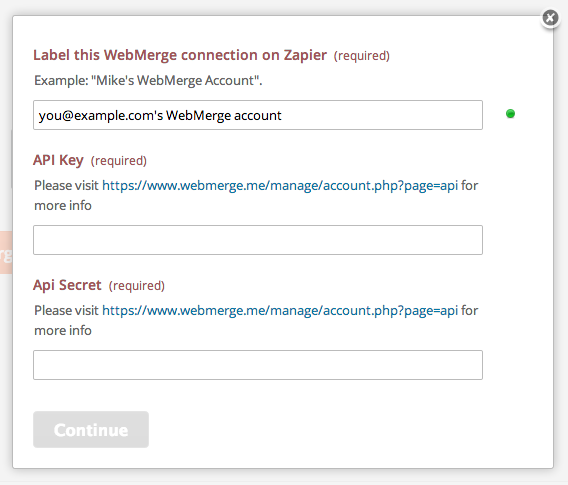 Click to add a WebMerge account in your Zap. You will then log into your WebMerge account to retrieve your API key and secret. You can find your API key and secret by navigating to account > API access. After you retrieve your API key and secret, enter them into the corresponding fields in your Zap. Entering your API key and secret finishes the process! Your WebMerge account is now connected to Zapier. While the Webmerge actions themselves do not offer the option, you are able to set up custom file names inside of the WebMerge for each document type that you choose when setting up the WebMerge action, under the Settings tab for the document in WebMerge. 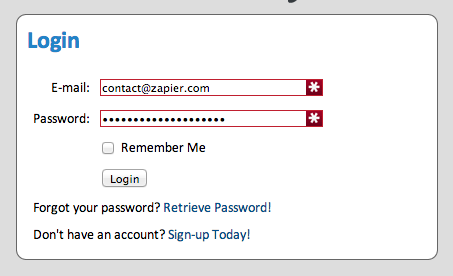 Login to your WebMerge account and edit the document you want to trigger your Zap on. Click on the "Deliver" tab and then click the "+ New Delivery" button. Paste your webhook into the "URL" field. 5. Then click the "more options" black box. 6. Make sure "Always send this Webhook", "Send data using JSON" and "Send merge data (uses the key: "fields")" options are all checked. Make sure you have checked the three boxes ( "Always send this Webhook", "Send data using JSON" and "Send merge data (uses the key: "fields")" ) listed in step 6 above. First, check to see if the document is actually getting created in Webmerge. If it is, and you have the Download File field set to yes, Zapier may be timing out when trying to download the file if it is too large. 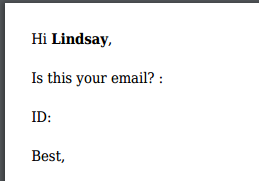 You'll need to change the Download File field to "no". If you need to use the file in subsequent steps, you can create another zap that uses the New Merged Document trigger.